For Nick Roberts, one of the most important aspects of the restaurant business is being part of a community. “The kinship and camaraderie among chefs and restaurateurs is something that really shaped me when I was first starting out in the restaurant business,” he explains. 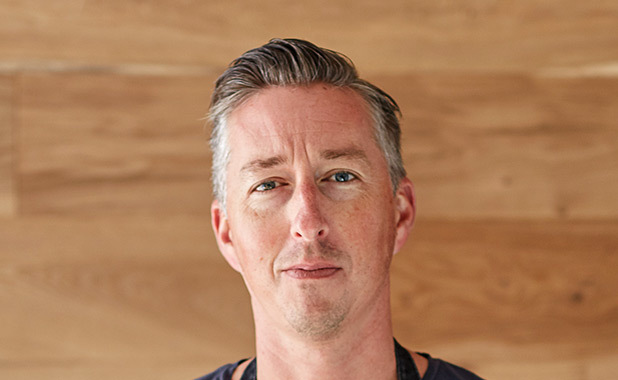 Raised on a family-owned vineyard in Carmel Valley, California, Roberts developed a palate for fine food early on, and his passion for cooking led him to The California Culinary Academy of San Francisco. While living in San Francisco, Roberts worked in the kitchens of Aqua and Masa’s, and upon graduation, he moved back to Carmel, where he worked at the prestigious Highlands Inn. After a year or so, he decided to travel to New York and had the honor of working in the acclaimed kitchens of Union Pacific, Café Boulud, and Bouley. In 2001, Roberts moved to the Los Angeles area and became sous chef at Zax in Brentwood, where he met his wife and business partner, Brooke Williamson. The two opened their first restaurant together a couple years later, Amuse Café in Venice, followed by Beechwood restaurant soon after, earning them the title of “Rising Star Chefs” from StarChefs in 2004. Although both restaurants are now closed, in 2009 the culinary duo opened Hudson House followed by The Tripel in 2011; located in the Los Angeles neighborhood of South Bay, these local spots served elevated gastro-pub fare and cocktails, plus craft beer and small production wines. In 2014, the husband and wife team debuted a unique four-in-one concept, Playa Provisions, featuring a grab-and-go marketplace, King Beach; an artisanal ice cream shop, Small Batch; a seafood dining spot, Dockside; and an intimate whiskey bar, Grain. In June 2015, Roberts and Williamson expanded their epicurean empire with Tripli-Kit, a culinary-focused retail store that features kitchen gadgets, cookbooks, and other culinary essentials. The couple debuted their fourth restaurant, Da Kikokiko, a Hawaiian-inspired fast-casual concept located in Playa Vista, California, in October 2016. Most recently, in September 2017, they launched their second Small Batch artisanal ice cream shop in the community-driven neighborhood of Mar Vista. When it’s time to relax, Roberts enjoys surfing, cycling, practicing yoga, and spending time in his woodshop building tables, benches, and light fixtures for their restaurants. His 9-year-old son, Hudson, keeps him busy and endlessly entertained as well.